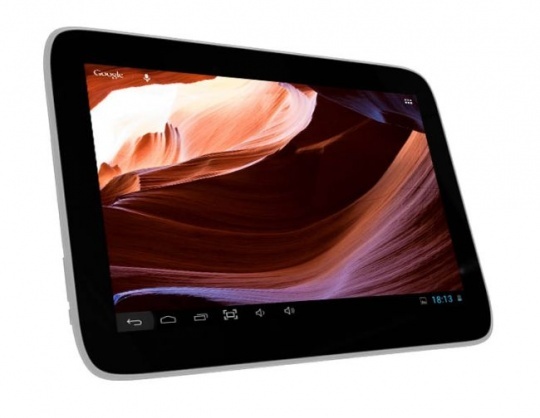 Zync Quad 10.1 is here to sport a full HD Tablet PC. After the success of Quad 8 and Quad 9.7 Tabs, Zync Tabs grow touch bigger with the launch of it’s Quad 10.1 Tablet PC model. With this new entry, the affordable high-end Tab market intensifies as there are now many manufactures in this segment trying their best to lure the customers. Conforming to the simple naming nomenclature being followed by the the Zync for all its recent Tablet PCs, the Tab Quad 10.1 is clearly a 10 inch device and it runs on the Android Jelly Bean 4.1 OS version. This device is a full HD Tab which features 1920×1200 resolution to give a user’s eye an utterly crisp and fresh feeling throughout. A Tablet PC shouldn’t shouldn’t compromise on the performance front which this one doesn’t and so houses a 2GB RAM and is obviously powered by a Quad core processor clocked at 1.5Ghz. To support well this Tab also saves a space of 16GB internal and 32GB with the help of an external card. For smother video/games, the manufactures have installed an Octa-core MP4 graphics engine. Soon after the launch of the Quad 10.1, the Zync Global co founder, Mr. Amul Mohan Mittal could not hide his high hopes with this Tab and was sounding pretty sure about this Tab being a hit, even bigger than the previous two Quad 8 and Quad 9.7 Tabs. He reinstated that Zync plays by the principle of bringing high quality and high end Tabs at low and affordable prices.